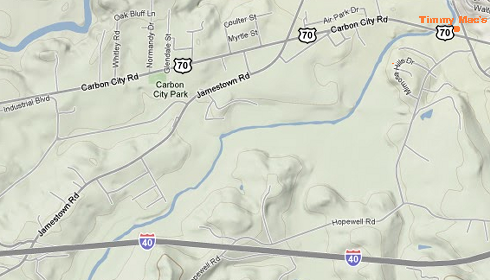 I-40 W: Take exit 100 turn right onto Jamestown Road, travel 3 miles to stop light intersection (KFC/Toco Bell), turn right onto HWY 70/Carbon City Rd, travel 1-1/2 miles store is on the left in the West Union Plaza shopping center. I-40 E: Take exit 100 turn left onto Jamestown Road, travel 3 miles to stop light intersection (KFC/Toco Bell), turn right onto HWY 70/Carbon City Rd, travel 1-1/2 miles store is on the left in the West Union Plaza shopping center. Morganton: US-70 W, West Union Plaza shopping center, across the street from McDonalds.